China Tower, which had been pitched as the world's largest IPO - and not just for telecoms, drew lacklustre investor enthusiasm this week as its shares began trading on the Hong Kong Exchange. Trading opened on Wednesday at the bottom of the forecasted range at HK$1.26 and closed at exactly the same price. This raised HK$54.3 billion (US$6.9 billion) for China Tower, funds that will be much needed for the very capital intensive undertaking of preparing China's physical infrastructure for 5G. The $6.9 billion IPO makes China Tower's listing one of the biggest in recent years, but far below the record US$25 billion that Alibaba raised in its IPO in New York four years ago. In investor roadshow briefings last month, China Tower executives talked about raising as much as US$8.7 billion in the IPO. The pre-IPO chatter had also mentioned Alibaba as a cornerstone investor in China Tower, presumably bringing along with many other of the country's high-tech powerhouses. Joint bookrunners and lead managers for the IPO included a who's who in international finance: CICC, Goldman Sachs, J.P. Morgan, BNP Paribas, HSBC, UBS, etc. With this pedigree, many will be wondering whether China Tower's tepid IPO reception is the result of fundamental questions about the company's business, or unfortunate timing during a period of trade tensions and market uncertainty. China Tower is the Beijing-based infrastructure business that consolidated the tower operations of the country's three mobile operators: China Telecom, China Unicom, and the leader, China Mobile. As such, China's mobile communications infrastructure is literally in this company's hands. As of March 31, 2018, China Tower operated and managed 1,886,454 sites and served 2,733,500 tenant equipment contracts from its investor/owners. This makes China Tower the number 1 tower company in the world in terms of sites, revenue, and contracts. "We are the world’s largest telecommunications tower infrastructure service provider with a commanding market position in the PRC. As the coordinator of the co-location of telecommunications tower infrastructure in the PRC, our site resources and services are essential and fundamental to the nationwide enhancement of 4G network and the future build-out of 5G network by China Mobile, China Unicom and China Telecom (the “Big Three TSPs”) in the PRC telecommunications market." China Tower is present in all 31 provinces, municipalities and autonomous regions in the PRC, covering all cities and extensive rural areas. There are a few other, very minor tower companies in business, but it is safe to say that China Tower has the market pretty much wrapped up. Essentially, it is the dedicated utility in a rapidly expanding market. 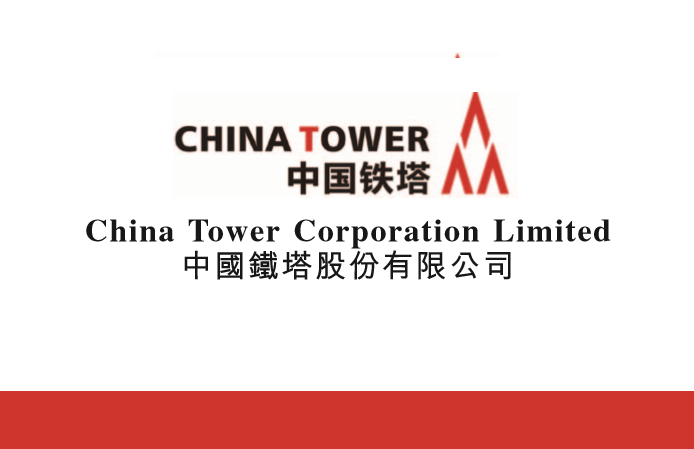 In July's investor roadshow, China Tower estimated that 60% of the proceeds from the IPO would be dedicated to CAPEX for building new towers and upgrading existing ones. Under this plan, the now completed IPO yields a CAPEX budget of US$4.14 billion for the infrastructure program and US$2.76 billion for debt relief. China Tower has disclosed capital expenditures of 229 billion yuan (US$33.7 billion) for 2015, 64.1 billion yuan for 2016 (US$9.42 billion), and 43.8 billion yuan (US$6.43 billion) for 2017. The CAPEX trend clearly has been declining at a rapid pace over the recent years, reflecting the rapid 4G rollouts in China, which have significantly been completed. The IPO money dedicated to CAPEX (US$4.14 billion) will be a big boost compared to 2018 spending, but nowhere near the banner year of 2015. The big questions will be "is it enough" given China's size and its goal to be a leader in 5G, as well as the ongoing maintenance that is always needed to keep equipment in good order, including moves/adds/changes, dealing with fiber cuts, fixing air conditioners, installing new sensors, testing, security, responding to outages, etc. China Tower operates macro cell sites, small cells, and DAS installations. As of June 30, 2018, China Tower operated and managed 1,878,739 macro tower sites and 19,400 DAS sites. The overall tenancy ratio was 1.47 and the tenancy ratio of the TSP tenants for ground tower sites in operation was 1.54. On the positive side, China's 4G rollout specified fibre to the tower in most installations. This implies that the majority of those 1.9 million sites currently in operation should be easily upgradeable for the additional backhaul needed for 5G. If so, a lot of the future CAPEX could go toward network densification, especially small cells. As mobile data usage continues to climb with no end in sight, China Tower will need to keep building. Its existing customers have nowhere else to go, so it is a pretty certain bet that China Tower will keep on expanding. As far as delivering a desirable return to investors, the business model comes with one big caveat. The prices that China Tower charges for allowing mobile operators to use its infrastructure is set by the customer/investors themselves. In other words, China Mobile, China Telecom and China Unicom set the common price they are willing to pay to their former infrastructure arms. In terms of revenue growth, voice revenue is eroding at an alarming rate (-6.4%) due to the tariff reductions; SMS and MMS are flat (+0.1%); wireless data revenue is the bright spot (+7.0%) but far outpaced by traffic growth of 153%; and wireline broadband is expanding at rate more typical for developed markets (+2.5%). Meanwhile, over the past twelve months, China Mobile's stock price has declined by nearly 20%, lagging the 12-month performance of a basket of Chinese tech stocks (NAR: CQQQ). Operating data published by China Mobile (in English) for the first half of 2018 is extensive, more so than the quarterly data disclosed by major operators in western countries, which is surprising as one might expect the opposite to be true. Unlike the big three U.S. operators who enjoy ARPU is the US$50+ range, China Mobile must make do with ARPU of RMB 58.10 (US$8.43) -- about 1/6th the billing per subscriber per month -- a. China Mobile is clearly gearing up for what is likely to be one world's fastest and deepest rollouts of 5G. They are already known for running a tight ship in terms of cost management. 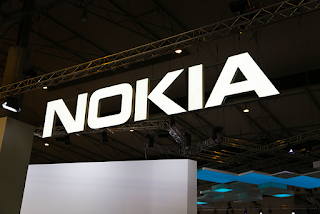 To complete this 5G upgrade cycle they are promising to cut costs even further. And while China Mobile has a very large number of employees, individual salaries are low compared to western peers and so automation of network administration functions may not have as big a payback, which will mean that efficiency gains will have to come from somewhere else. A lot of these expenses are associated with the physical infrastructure that was handed over to China Tower, which completed its IPO in a Hong Kong listing only last week. China Mobile's new report states that tower leasing fees cannot exceed the budget established at the beginning. And now there are these new expectations for reduced maintenance, as well as expectations for the 5G rollout and network densification. Profits at China Mobile are growing, even if other aspects of the business are under challenge. 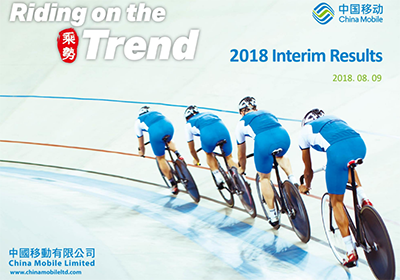 EBITDA grew by 3.7% compared to the same period last year, reaching RMB145.9 billion. Profit attributable to equity shareholders grew by 4.7% year-on-year to RMB65.6 billion. While overall review was down, operating revenue of RMB391.8 billion, up by 2.9% compared to the same period last year, and telecommunications services revenue was RMB356.1 billion, up by 5.5% compared to the same period last year. With its 906 million mobile customers, it is clear that this is the engine that really matters. The total number of connections increased to 1.425 billion, comprising 906 million mobile connections, 135 million wireline broadband connections and 384 million IoT connections. In the first half of 2018, the average handset data traffic per user per month, or DOU, of 4G customers exceeded 3GB while the total handset data traffic increased by 153%, while revenue for data traffic grew 15.3%. Actually, for Q2, data traffic grew 164%, so we are likely to see and even bigger data traffic growth rate for the rest of 2018. So far, China Mobile has managed to move 75% of its users onto the 4G network. Revenue for the personal mobile market grew by only 1.1% compared to the first half of 2017. In fixed line residential Internet service, China Mobile is adding customers at a good clip and its market share has now reached 39% with 128.2 million households. This is bad news for China Telecom and China Unicom. Net growth in household broadband customers reached 18.80 million, accounting for 57% of the total number of net additional customers in the industry. Over 42% of households receive over 100 Mbps connection speeds, a strong showing compared to many developed countries. Household ARPU is also rising (+7.2% yoy) although ARPU remains at a very low level RMB 35.0 (US$5.08). In the first half of 2018, application and information services revenue grew by 23.5%. China Mobile also said it is rapidly completing a national NB-IoT network, which it expects to launch before the end of the year. China Mobile's total number of IoT smart connections has reached 384 million and revenue from IoT business recorded a year-on-year growth of 47.6%. For 1H2018, China Mobile spent RMB 79.5 billion (US$11.54 billion), down from RMB 85.3 billion for 1H2017. For the full 2018, China Mobile anticipates total CAPEX will be RMB 166.1 billion, down from RMB 177.5 billion for all of 2017. For comparison, Verizon's CAPEX for 1H 2018 was $7.8 billion, compared to $7.0 billion for 1H 2017. Deutsche Telekom listed its 1H2018 revenue at EUR 6.1 billion for "both sides of the Atlantic." For the second half of 2018, China Mobile plans to shift more of the spending from the transmission network to the mobile communications network, with additional spending for buildings and other infrastructure. China Mobile has been granted an LTE FDD (Frequency-Division Duplexing) operating permit and says it is working to speed up network convergence. The operator plans 5G trials for the remainder of 2018. The corporate report states: "The development of 5G bears great significance to the Company for its profound implications on our sustainability... We are keen to generate returns on our investments and will plan our future investments on 5G taking into consideration the level of maturity of the industry and business models that emerge"
VMware agreed to acquire the technology and team of Dell EMC Service Assurance Suite - software spanning network health, performance monitoring and root cause analysis for communications service providers (CSPs) and their customers - from Dell EMC. Financial terms were not disclosed. The core Dell EMC Service Assurance Suite, which has been deployed by more than 50 CSPs worldwide, including many Tier 1 operators, provides assurance capabilities to deliver service impact and root-cause analysis with visibility across physical and virtual networks, and cloud environments, to identify how resources are being consumed and whether service level agreements are being met. This helps CSPs optimize their environments to enable faster resolution times; proactive identification of issues is proven to provide better return on NFV and IT investments. VMware says the acquisition demonstrates its growing commitment to the telecommunications industry and reinforces the “better together” synergy between VMware and Dell EMC. Ericsson will boost US-based R&D to meet the growing demand for 5G in the region. Plans call for a new software development center with a baseband focus that is expected to employ 200 software engineers when fully operations. Last year, Ericsson opened a 5G ASIC design center in Austin, Texas. This facility will have 80 employees once fully staffed. Ericsson will begin manufacturing in the US to support the 5G rollouts of its US customers and for global flexibility. 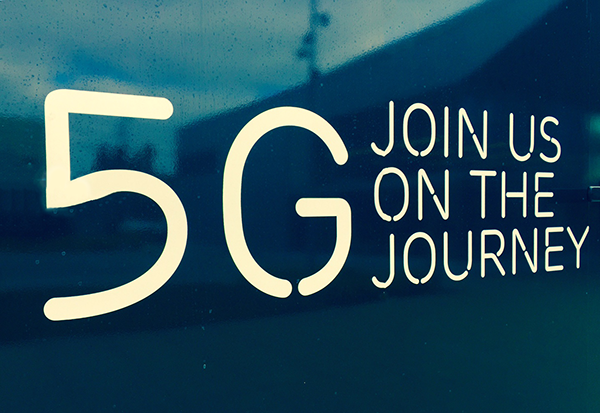 The first 5G radios manufactured in the US are expected by the end of this year thanks to a production partner. Ericsson predicts that 5G subscriptions will reach the 150 million-mark, accounting for 48 percent of all mobile subscriptions in North America by the end of 2023. Ericsson also noted that it will soon have about 80 employees in North America focused on AI and automation. The SD-WAN infrastructure market will grow at a 40.4% compound annual growth rate from 2017 to 2022 to reach $4.5 billion, according to IDC's latest SD-WAN Infrastructure Forecast. IDC said SD-WAN infrastructure revenues increased 83.3% in 2017 to reach $833 million. IDC finds that Cisco holds the largest share of the SD-WAN infrastructure market, fueled by its extensive routing portfolio that is used in SD-WAN deployments, as well as its Meraki offering and its August 2017 acquisition of Viptela. VMware, which in December 2017 purchased VeloCloud, holds the second largest market share in the SD-WAN infrastructure market, followed by Silver Peak, Riverbed, Aryaka, Nokia and Versa. IDC is also publishing its first market share report for this segment, including 2016 and 2017 revenues by vendor for SD-WAN infrastructure. Windstream reported Q2 revenue of $1.44 billion, a decrease of 3 percent from the same period a year ago, and total service revenues were $1.42 billion, a decrease of 3 percent year-over-year. Operating income was $88 million compared to $103 million in the same period a year ago. The company reported a net loss of $94 million, or $2.30 per share, compared to a net loss of $68 million, or $1.83 per share, a year ago. “Our Consumer segment delivered a successful quarter, adding 2,300 broadband subscribers,” said Tony Thomas, president and chief executive officer. “This continued an upward trend that we have experienced for the past several quarters and was driven by both strong sales and lower churn. It demonstrates that our network investments are paying off and enables us to say with confidence that we expect to grow our consumer broadband base in 2018. “Our Enterprise segment continues to see improved results as our focus on SD-WAN, Unified Communications as a Service and on-net sales have driven improving revenue trends and margins. Windstream is now the largest SD-WAN provider in the country with more than 1,000 customers in over 12,000 locations nationwide. Sales of strategic products accelerated to over 50 percent of Enterprise sales for the quarter. “Reflecting these strong segment results, Windstream delivered sequential and year-over-year growth in Adjusted OIBDAR that came on the back of both improved revenue trends and lower cash costs,” Thomas said. Celcom Axiata Berhad will deploy Huawei's cloud-based Digitized Operation Platform, Software as a Service (SaaS) solution to manage its network in Malaysia. Celcom will be the first in Malaysia to adopt a full suite cloud-based Operation Support Service (OSS) system. The platform will enhance Celcom's capabilities in managing increasingly complex networks and services. It also enables Celcom to transform their daily operations from reactive to proactive and predictive, and further solidify their relentless drive to achieve excellence in customer experience. Portworx, a start-up based in Los Altos, California announced that its PX-Enterprise can now be integrated with Amazon Elastic Container Service (ECS), enabling mission critical stateful workloads to run in Docker containers with dynamic provisioning, cross-Availability Zone high availability, application consistent snapshots, auto-scaling and encryption functionality. Portworx can also be integrated with Amazon Elastic Container Service for Kubernetes (EKS). "Enterprise container adoption is skyrocketing as companies recognize the value that container technologies provide on the path to digital transformation," said Murli Thirumale, co-founder and CEO of Portworx. "Amazon Web Services integration with Portworx for both EKS and now ECS is evidence of a sea change happening in the industry: enterprises running on Amazon need flexible cloud native storage solutions that play well containers. By giving enterprises these two options for container data management, we're radically simplifying operations of containerized stateful services running on Amazon." Multi-AZ EBS for Containers – Docker containers within and across Availability Zones based on business needs. Portworx will not only replicate each container's volume data among ECS nodes and across Availability Zones, but also add additional EBS drives based on reaching capacity thresholds. Daemon Scheduling on ECS: automatically run a daemon task on every one of a selected set of instances in an ECS cluster. This ensures that as ECS adds new nodes, every server can consume and access Portworx storage volumes. Auto-scaling groups for stateful applications – dynamic creation of EBS volumes for an ASG, so if a pod is rescheduled after a host failure, the pre-existing EBS volume will be reused, reducing failover time by 300%. Hyperconverged compute and storage for ultra-high performance databases – ECS can reschedule the pod to another host in the cluster where Portworx has placed an up-to-date replica. This ensures hyperconvergence is maintained even across reschedules. 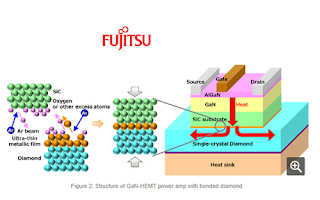 Fujitsu Labs has developed a crystal structure that both increases current and voltage in gallium-nitride (GaN) high electron mobility transistors (HEMT). The innovation effectively triples the output power of transistors used for transmitters in the microwave band. Potential applications could include weather radar and 5G systems. 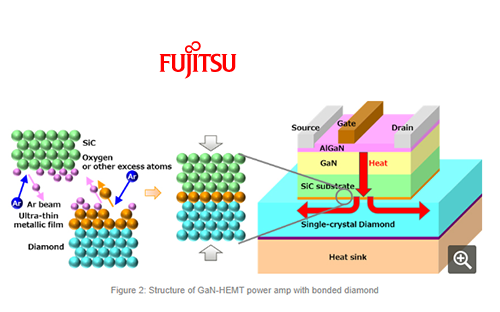 Fujitsu said GaN high electron mobility transistors can extend the outreach of microwaves from the microwave and millimeter-wave bands used for radar and wireless communications. This research was partially supported by Innovative Science and Technology Initiative for Security, established by the Acquisition, Technology & Logistics Agency (ATLA) of the Japanese Ministry of Defense.